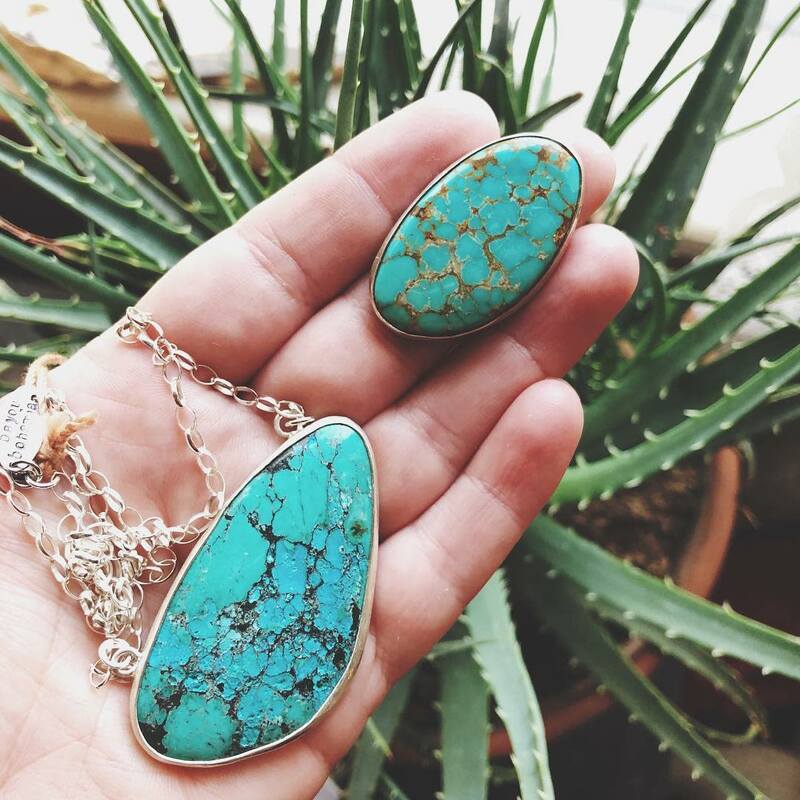 I have an avid love for turquoise and natural stone jewelry, so when I discovered @bayoubohemian on Instagram I was hooked! 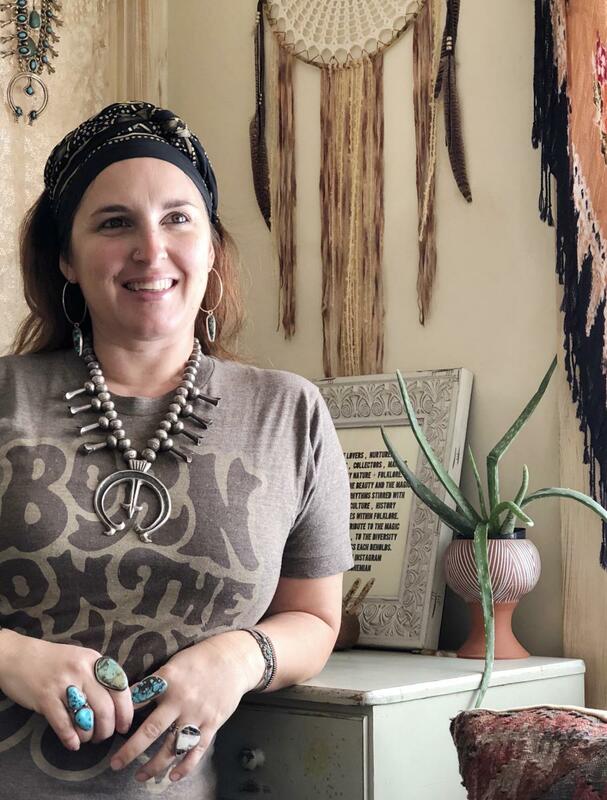 Here was a local woman creating custom jewelry with a deep rooted respect for the culture and history behind each stone. JeLlyn Morvant exudes the nature, magic, and folklore with which she describes her jewelry. 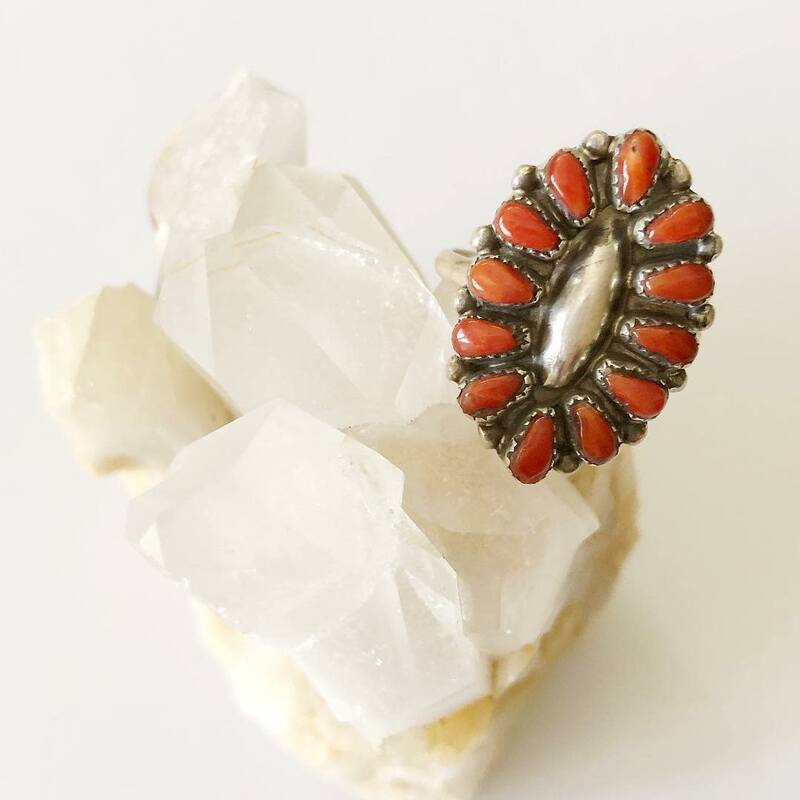 This past mother&apos;s day I treated myself to a few Bayou Bohemian pieces. JeLlyn told me the story of each piece: where the stones came from, the family process of making the piece—her husband melts the metal, how she cried the day she opened the package when she received those particular stones because of the rich history of each bead. It is a delight to wear jewelry made with such love and honor for the geologic and human processes behind them. She imparts a commitment to her creative passion while crafting and designing inspired wearable art. I was born and raised in Acadiana. Generations deep. But I often say I did a lot of growing up in Southern California, where I lived in my twenties and we all know how much personal growth happens in our twenties. Once when I was flying home to visit, which I did often, a gentleman on the plane said if you’re from Lafayette you usually come back, it’s just that kind of place. And I did move back...to start my family and raise my children here. What makes Lafayette your ‘home’? My family, but especially my mama, makes Lafayette my home. Living away from Lafayette for nearly a decade made me appreciate its rich culture so much more, even though I came home for Festival every year. I missed Christmas at home once, but never Festival International. Also—the variety of shades of green the swamp life offers, so many different beautiful greens in the lush, overgrown woods and duckweed-filled water. The richness in tradition here and its deep cultural roots, as well as the strength and perseverance of this community, definitely influence me. The colors of the natural world around me and the simplicity of our sweet community inspire my work. Another important influence of my physical environment would be limitations, in physical space and time. Having three young children (thirteen, eight and three) is all consuming and I keep my littles home with me as long as possible, usually until kindergarten. I like to relate it to being a professional juggler! I truly only have a few hours between dropping the older kids off at school and picking them up again to get all the things I need/want/crave to get done, d o n e. I also spend a lot of time taking care of my aging parents which I am happy I have the time to do. A couple of different scenarios make for a perfect day in my book. One would be to start my day quietly at home with a good cup of coffee before taking the kiddos to the pool for the rest of the morning then picking up some fresh juice from Tribe Collective and coming home with worn out kids and getting an afternoon of guilt-free studio time where I can see/make/work a creative vision through into completion. Seeing the finished product of an inspired vision, that is the best. Another perfect day would be exploring new places in nature with my hubby and kiddos. We love that. Especially when there’s water to see and a good sunset. And honestly, just getting to hang out with my husband, co-creating anything from a home to a bejeweled treasure inspired by ancient techniques. Those are the best days! I feel like Lafayette has a growing and supportive network of art markets, galleries and local boutiques that offer a place for local makers to share their creations. Honestly, I am proud of our little community and how saturated it is with talented artists, makers and collectors. Lafayette could be summed up in a handful of “alternative seasons.” What’s your favorite season? Number One for me, I’ll call it Southern California Season—it’s those few weeks twice a year, in Fall and Spring, when the temperature is perfect (mid to low 70s), there is seemingly no humidity and the sky is clear. Maybe even a nice breeze. It never ceases to catch me by surprise how inspiring a beautiful day can be. My creativity is my meditation and to create with my hands is pretty much a necessity for my piece of mind and spiritual wellbeing. I grew up with a very eccentric, creative, unfiltered mother who has shown me how to see the beauty hidden in unconventional mediums and materials. I moved to California when I was barely twenty and while I was studying for my degree in Fashion Design I worked at a bead store on the beach where I made simple jewelry for tourists all day. I am a lover, a nurturer of little humans, a gatherer of treasures, a collector of moments, a maker inspired by the magic of nature and the stories within folklore. My/our work is a tribute to the magic and the stories. I would prefer to color outside the lines a bit, focus on the simple things, and laughter, ALWAYS laughter! You can find Bayou Bohemian at Hemline Lafayette, Genterie, House of Broussard and we have some other local retailers coming soon. 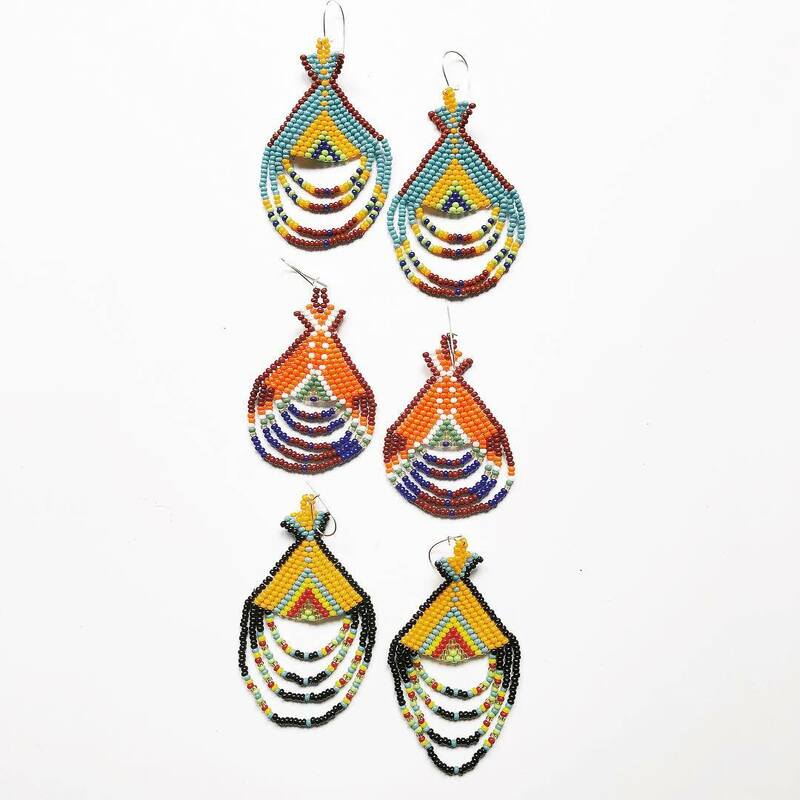 You can also find JeLyn at local pop-ups and markets, shop online at www.bayouboho.com.